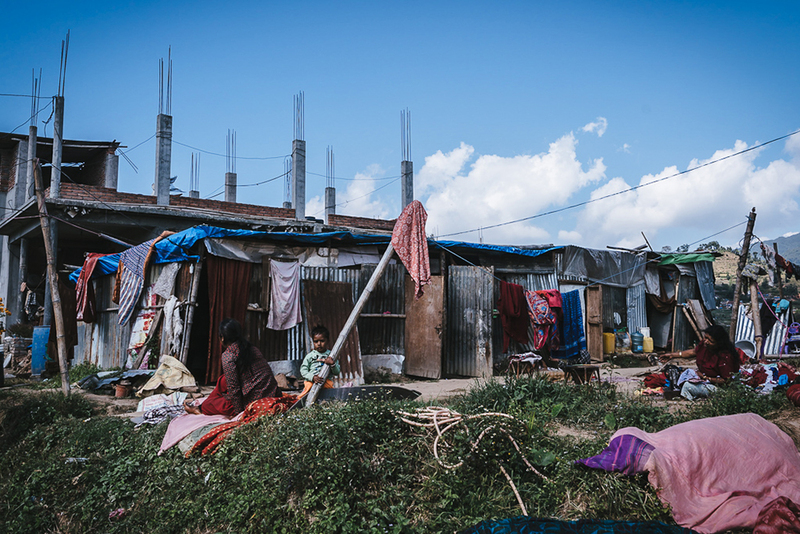 Almost one year after the deadly earthquake, Nepal is facing a fuel and housing crisis. The ethnic Madhesi minority in the border region has been staging violent protests over its representation in Nepal’s new constitution and India is imposing an unofficial blockade over safety concerns. Fuel and goods cargos have all but halted at the border. Antagonism against India is high due to what is perceived as political interference and manifested as the hashtag #BackoffIndia on social media. 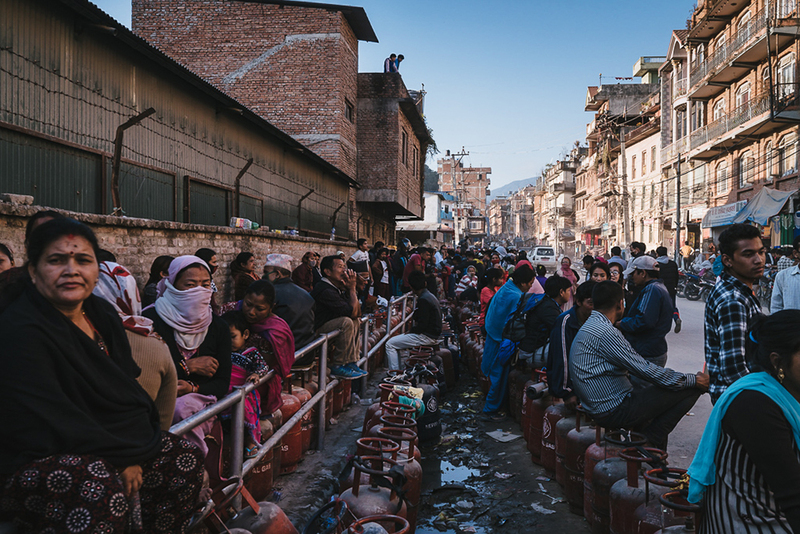 Hundreds queue in line for 3-4 days to get patrol and profane gas, and the blockade is disrupting Nepal’s already stretched reconstruction efforts and affecting average Nepali people with price hikes and lack of general necessities. 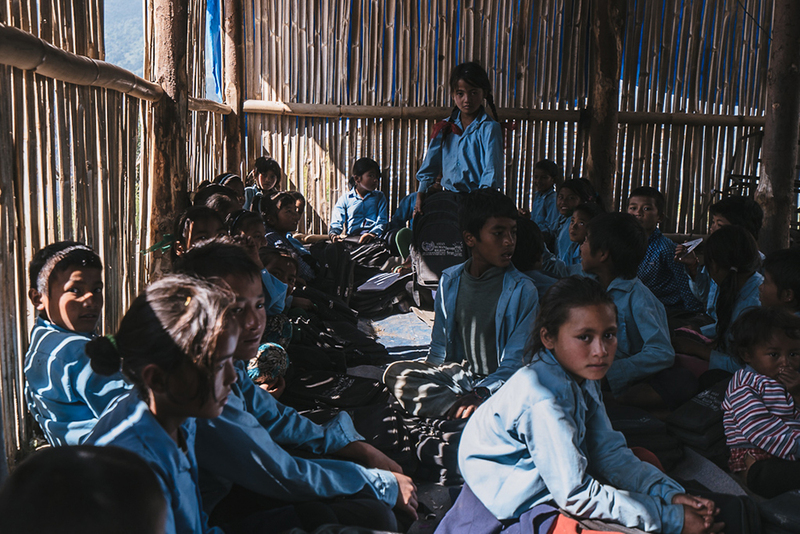 Medical supplies are dwindling and some Nepalis are turning to firewood for cooking. According to the UN, the earthquake destroyed approximately 600,000 houses and damaged 290,000 in Nepal. Aid groups warn that temporary housings made with corrugated tin and tarp will be inadequate in cold weather, especially in higher altitudes. Jun Michael Park is a documentary photographer and visual storyteller from Seoul, South Korea. Jun has worked for Der Spiegel, Welt am Sonntag, Brand Eins, Cicero and Greenpeace Magazine in Germany, LA Times, Financial Times, Bon Appétit Magazine, Lonely Planet Magazine Korea, Save the Children, Asia Society Korea Center and National Film Board of Canada among other publications and organizations. Jun is a winner of a Silver award in Press-Feature Story category at Prix de la Photographie Paris (Px3) 2015 and is a participant of the Eddie Adams Workshop XXVIII in New York. He is represented by laif agency in Germany and available for assignment and commission worldwide.